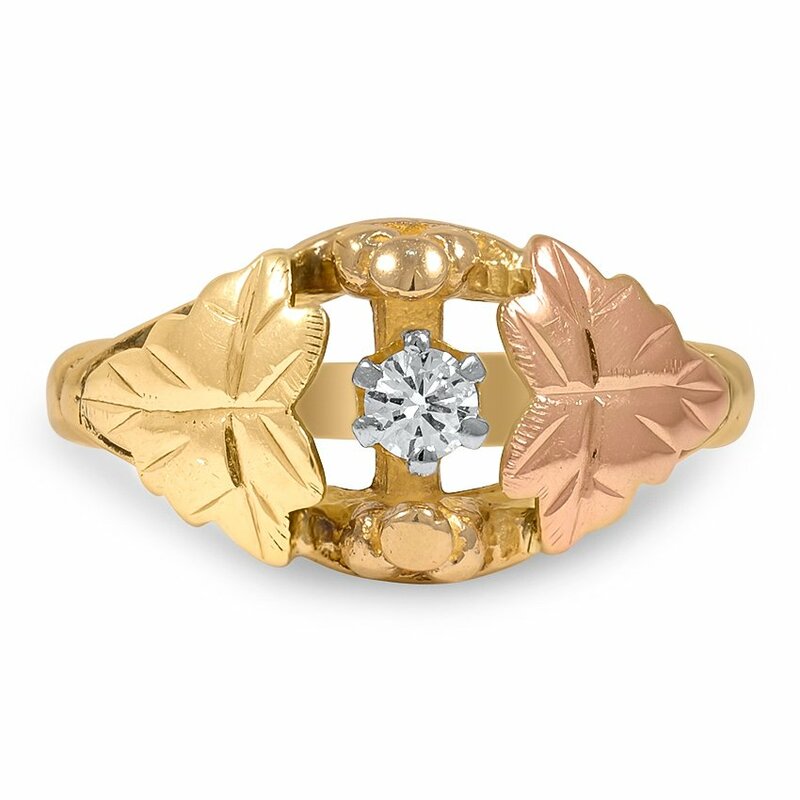 This ethereal 10K yellow and rose gold Victorian-era ring from the 1860's features a round brilliant diamond center with a different colored leaf on each shoulder. 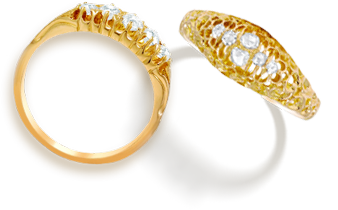 The contrast of the yellow and rose gold leaves add to the serene look of this piece (approx. 0.10 total carat weight).